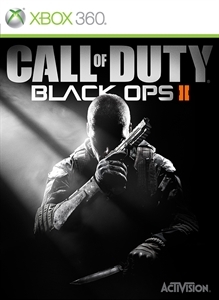 Black Ops II is comprised of three major components, which are easily displayed on the back of the box: Campaign, Multiplayer, and Zombies. Choices two and three are considered the main attraction for players, but the game's Campaign does some great things that move the series forward in terms of interactive storytelling. 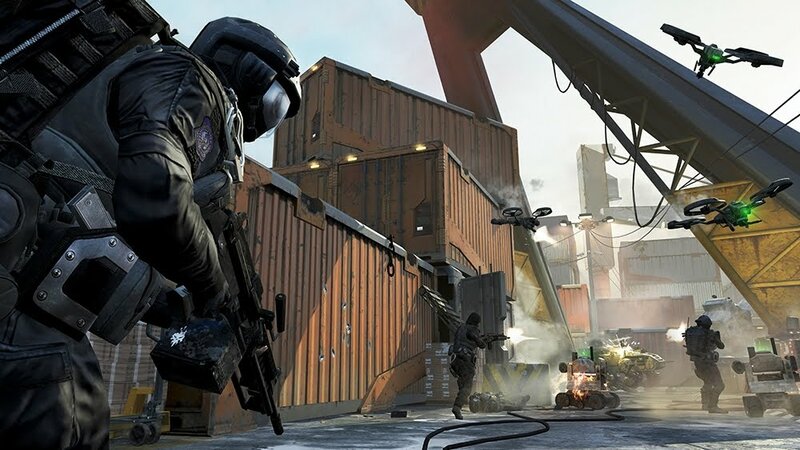 With over $500 million big ones made off of this title so far, Black Ops II is ready to once again set new Call of Duty records, but the question that remains is if it is worthy of your money and time, and I would have to say yes. The campaign focuses on the continuation of the story of Woods and Mason with both characters playable in the past events, and Mason's son controllable in the year 2025. Both time perspectives feature the groups trying to stop Melendez, the new antagonist with distinct reasons behind the chaos he causes in both times. While you will still continue taking out tons of soldiers on most of the levels, the mission variety is mixed up to accommodate various set piece moments. Visually things look nice, with the same engine that powered Modern Warfare 3 still in effect, and the game's trademark 60fps smoothness. Another great element to the campaign is player choice, as several moments will pop up that require an action that can come into effect later in the game. This helps add replay-ability to the campaign aside from the usual game difficulties that ramp things up. Multiplayer is still as fun and addictive with some great new features for new and experienced players. Setting up classes is based on Pick 10, the new system that allows for 10 elements to a class such as weapons, perks, attachments, and wildcards. You can have any combination you like, but no more than 10 various items. Earning kills is still the way to go, but streaks are now based on points, so assisting others and taking out UAVs will help earn the ability to use your streaks aside from simply taking out opponents. Lastly but not least is Zombies. 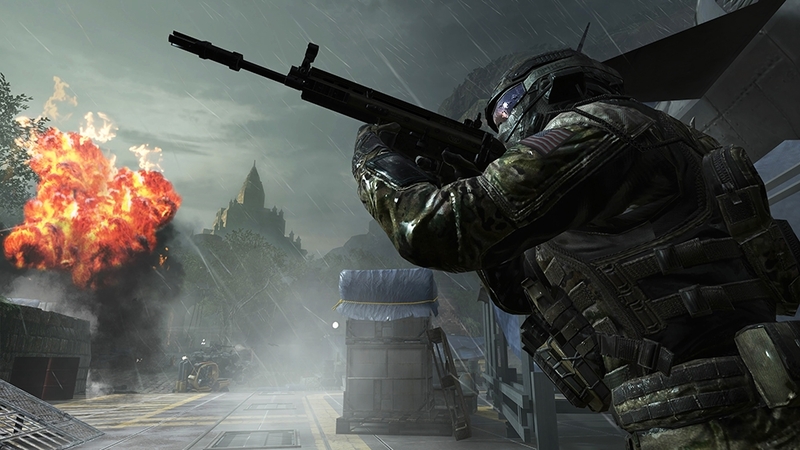 This mode is a now a bigger feature than it was in World At War and Black Ops, and features several new ways to play. There's the classic survival, which allows you to play through any map and see how long you and others can survive. Then there is Grief mode, which features two teams of four tasked with surviving against the zombies while trying to halt the other team's progression. You can't directly kill the other team, so you'll have to do your best to get the zombies that focus on them. Finally there's Tranzit, the new mode for up to four players that goes across all of the survival maps. Players have a bus that transports them across the levels, which features various secrets and items to build and find. 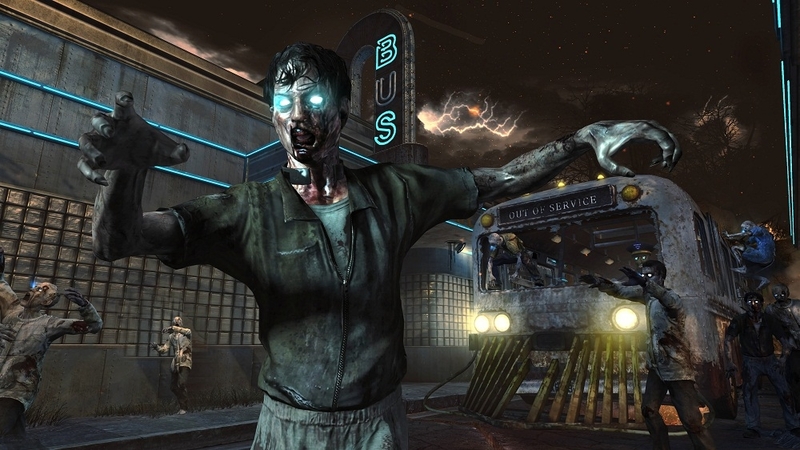 Turning on the power, finding the random weapons boxes, and locating the pack-a-punch is critical to lasting against the zombies, and its up to you to find. Exploration is key in Tranzit, and there is plenty to find and explore. Treyarch has once again raised the bar for a Call of Duty title. 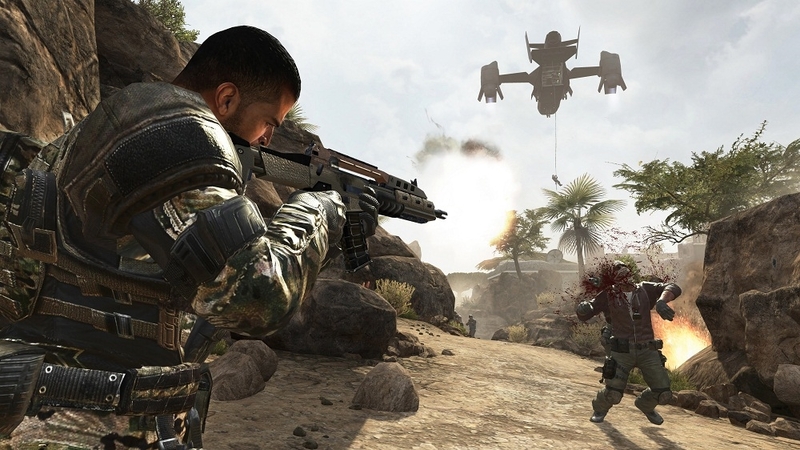 With reasons to play each mode multiple times and content coming down the line, there is plenty of gameplay in the Black Ops 2 package. "Pushing the boundaries of what fans have come to expect from the record-setting entertainment franchise, Call of Duty®: Black Ops II propels players into a near future, 21st Century Cold War, where technology and weapons have converged to create a new generation of warfare."